Your agency's name is important, because it’s the outside world’s first impression of your business. Getting the right name for your agency isn't easy; a lot of people fall into the trap of calling their company something like ‘Chocolate Bigfoot’ or ‘Banana Badger’. Here are some techniques from net magazine's Twitter followers that hopefully will help you to do a bit better. Of course, it works best if you can come up with a name that means something to you. 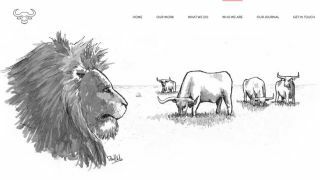 @de says, “When myself and @ryanhavoc were at our lowest point, we came together to build something stronger.” They liked the phrase ‘United we stand, divided we fall’ from the fable of the lion and the oxen, and got the name No Divide and the ox logo from there. If you don’t have that, a more unstructured approach can work. When @deanleigh was after a name for his full-service agency, they used a random name generator to come up with Wholething. In a similarly haphazard fashion, the team at @parallax “repeated words out loud to each other until we found one that sounded cool”, and @hankchizljaw likes to translate words into Latin until he finds one with an available domain. Another option is to use a play on your real name. @RichardCarter used the surnames of the original partners to get Peacock Carter, even though he was “told it sounds like a private detective agency!” They kept it even when Peacock left the business. This article originally appeared in net magazine issue 283; buy it here.